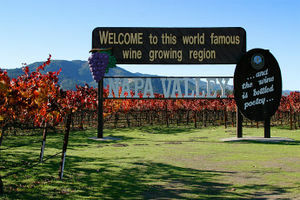 Even if you’ve never really tried many wines or don’t really find the flavor of the wines you have tried in the past to be pleasant, you may find yourself pleasantly surprised to discover that you do in fact have a great palate for the excellent wines that can be found in California’s Sonoma Valley and Napa Regions. The wines you will taste here are generally great quality wines and are specially selected to showcase the best that these vineyards have to offer. Regardless of whether you find yourself a reformed wine connoisseur or not, you will at least have gained a really good education about both the wine making process and the many varieties of wines that are available. 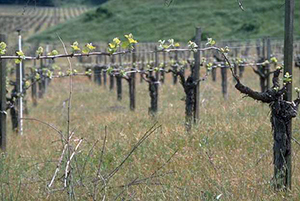 There are many companies that offer tours to different vineyards. Try one, or try a few. The drive is short if you want to go it alone-just be sure that the vineyard you are planning to visit doesn’t require reservations before making the drive. The drive, should you choose this route, is quite beautiful and there are many things to see along the way. Be sure to have a designated driver for your wine tasting experience if you are going it alone. This detail alone could save one or many lives and is vitally important when planning your wine tasting adventure. There are so many vineyards, you cannot see them all in two days. I recommend you do some research online, find the ones you would enjoy visiting over the weekend, or longer if time allows. Now, caution, nowadays many do charge a fee, approx. $10 for tasting typically, so unless you are visiting smaller wineries, allow an hour plus for planning. If bus tours aren’t for you but you don’t want to have to drive after visiting and tasting all of the delicious wines that you will be discovering, you should consider one of the smaller SUV tours that are available. These will be a little more costly but for many the personal attention is well worth a little extra money. Another great benefit of the smaller SUV tours is that your smaller group can be accommodated by smaller wineries that aren’t always available for visits from large bus tours. These tours need to be planned a little ahead of time, most requiring at least one week advance notice for reservations so they can’t be as spur of the moment as a larger bus tour which will generally have openings available at the last minute. Here are a few suggestions to help your wine tasting experience be all that you dare hope for and more. First of all, avoid wearing scents; the scents that you wear will compete with the wine for both fragrance and taste. You want the wine to make its own statement without competition from the perfumes, aftershaves, lotions, and potions that you or other guests on your tour may bring along. 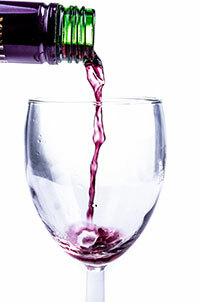 Hold your wine glass by the stem to avoid warming the wine. It’s always a good idea to eat something bland like saltine crackers or French bread between wines in order to cleanse your palate. Even if you’ve never tried a glass of wine before in your life, you will receive and excellent education about the various wines, the regions, the differences between the wines, what makes the wines of different vineyards unique and special, and suggestions on how to pair and serve the wines you’re tasting. You will also receive and education about how to properly store the wines you may elect to purchase. This is very important knowledge in order to best maintain the integrity and flavor of the wines you choose.